Sugar and Spice Candied Nuts – Updated! A word of warning: you may find yourself eating these candied nuts until you are sick. It just can’t be helped. I blogged about these nuts a couple of years ago; My original post on candied nuts can be found here. Preheat the oven to 300 degrees F. Line a baking sheet with parchment paper. Set aside. In a bowl, whisk together the sugars, salt, cayenne pepper, and cinnamon. In a large bowl, whisk the egg white and water until the egg white is frothy, but not stiff. Add the nuts and toss to coat. Add the spices to the nuts and toss it all around until everything is evenly coated in the sugar and spices. Bake for 30 minutes, stopping to toss everything around at the 15 minute mark. Remove the nuts from the oven and break them apart as they cool. Try to not eat the entire thing in one sitting. I was invited to a pie-themed potluck party recently. 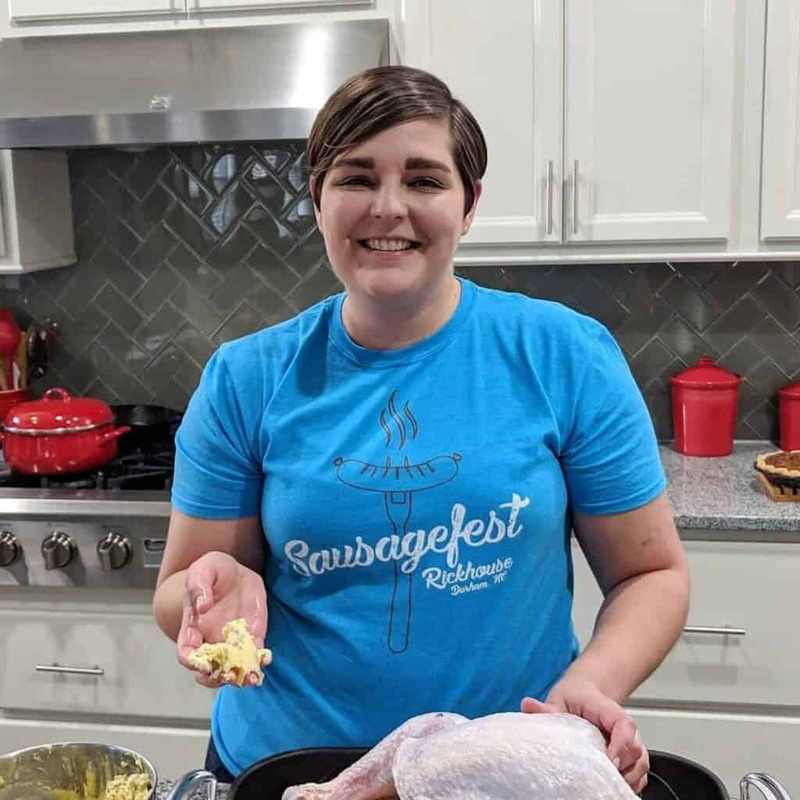 When trying to decide what I wanted to contribute, I kept a few things in mind: 1) The hostess is a vegetarian; 2) Something savory would lessen the chances of us ending up with several pumpkin pies; and 3) Cute food is almost always good. Preheat the oven to 400 degrees F. Line two baking sheets with foil and spray the foil with cooking spray. Set aside. Put the peeled and cubed butternut squash in a large zip top bag. Add 2 tbs olive oil and spices. Zip the bag shut and toss the contents around until all of the squash pieces are evenly coated. Divide the squash onto the two prepared baking sheets, spreading it into an even layer. Bake for 15 minutes, toss everything around, and bake for an additional 15 minutes, or until the squash is tender and cooked through. In a large skillet, add the remaining 1 tbs olive oil and heat over medium heat. Add the minced garlic and cook until just fragrant. Add the kale and stir to coat the greens with the garlicky oil. Cook uncovered for a few minutes, stirring occasionally. Add the water/broth and cover the skillet. Cook for 5 minutes, or until the kale has begun to wilt down. Turn off the heat and remove the lid. Add salt and pepper to taste. Once the butternut squash is cooked, add it to the pan of kale, along with the feta cheese. Stir everything together. Take a taste, and adjust your seasonings accordingly. Remove the foil from the baking sheets, and line the sheets (or different baking sheets) with parchment paper. Using whatever pie dough you choose, use a cookie cutter or water glass to cut circles of dough (2 per hand pie). I used a circle that was about 3.5 inches in diameter. Place circles of dough for the bottom half of the hand pies onto the baking sheets. I was able to fit 6 per baking sheet. Place 2-3 tbs of the squash/kale/feta filling on the middle of each circle of dough. You want to have a decent amount of filling in each hand pie, but also want to make sure that you’ll be able to seal everything closed without filling spilling out. Top each with another circle of dough to make the top of the hand pie. Use the tines of a fork to crimp the edges of the dough (see the picture below). This will help to seal the pies shut. Brush the tops of the hand pies with the beaten egg. This will help to ensure that the hand pies get brown and crispy. Sprinkle each hand pie with kosher salt. Cut a small slit or two into the top of each pie to allow steam to escape. Bake your pies according to the directions for whatever pie dough you’ve used. I baked mine at 400 for 20ish minutes to get them to be golden-brown. They are delicious right out of the oven and piping hot, as well as at room temperature. 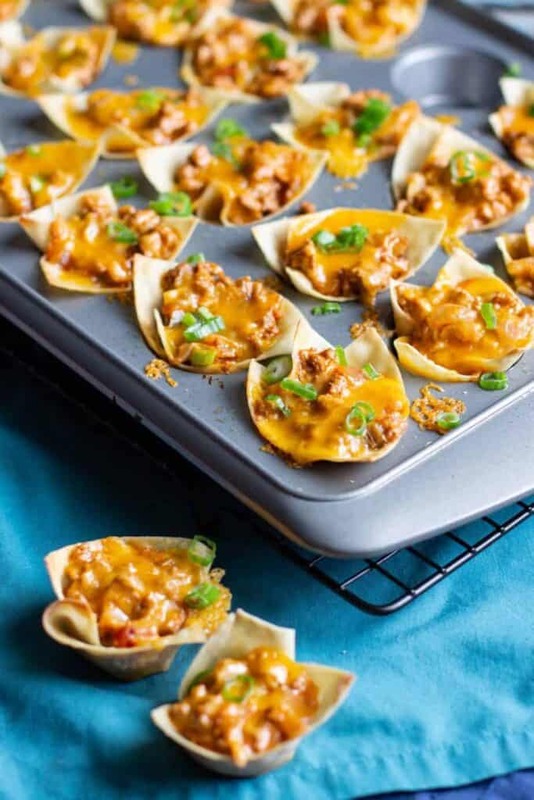 These Turkey Taco Wonton Cups are great party food. They’re delicious and perfectly portioned. Honestly, who doesn’t love tacos? I’d argue that they are a perfect food. You’ve seen me share taco goodness on this blog before. 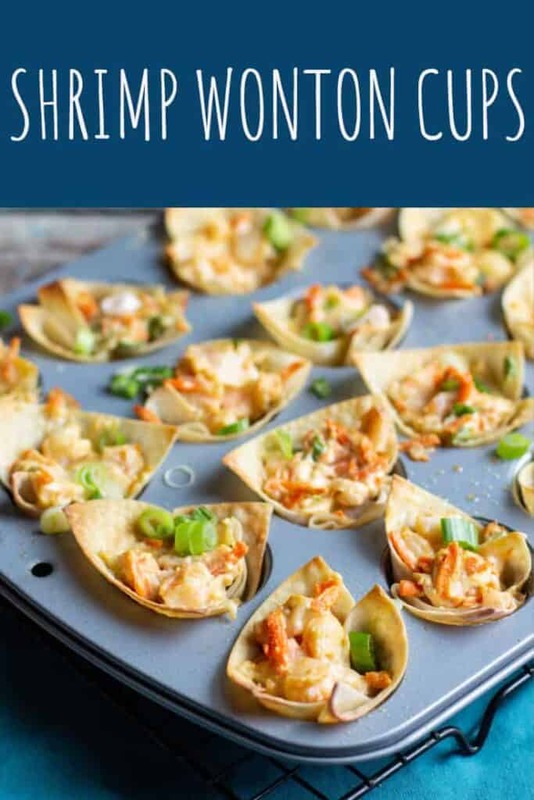 Check out my Roasted Shrimp Tacos with Pineapple Salsa, Salmon BLT Tacos, and Three Ingredient Slow Cooker Taco Chicken, for instance. 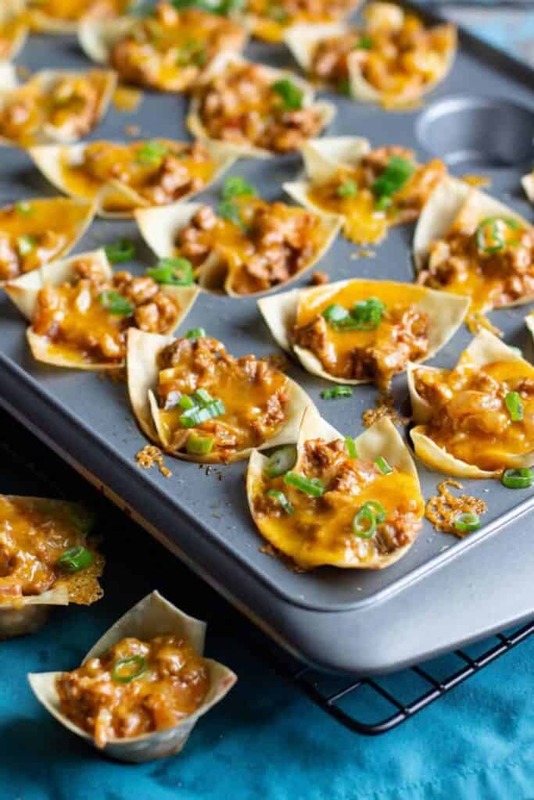 These Turkey Taco Wonton Cups take all of the flavors and (most of the) ingredients in an (Americanized) taco, and scales things down. 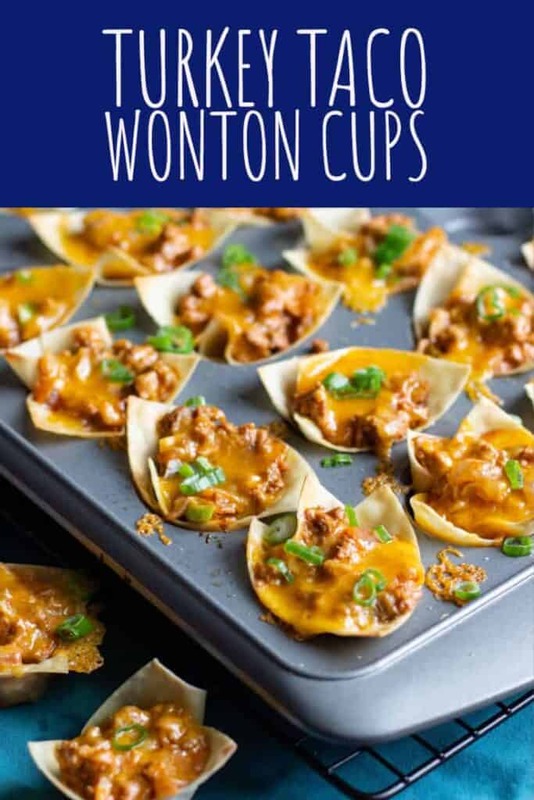 These wonton cups can be eaten easily with one hand and consumed in two bites! In a large pan, heat the olive oil over medium-high heat. Add the onion and garlic and cook until the onions begin to become translucent. Add the ground turkey and cook until browned, crumbling while doing so. Add the taco seasoning and stir until all of the meat is coated. Add the cream cheese and stir until it has melted. Add the salsa and shredded cheddar, stir to combine, and turn the heat down to low. 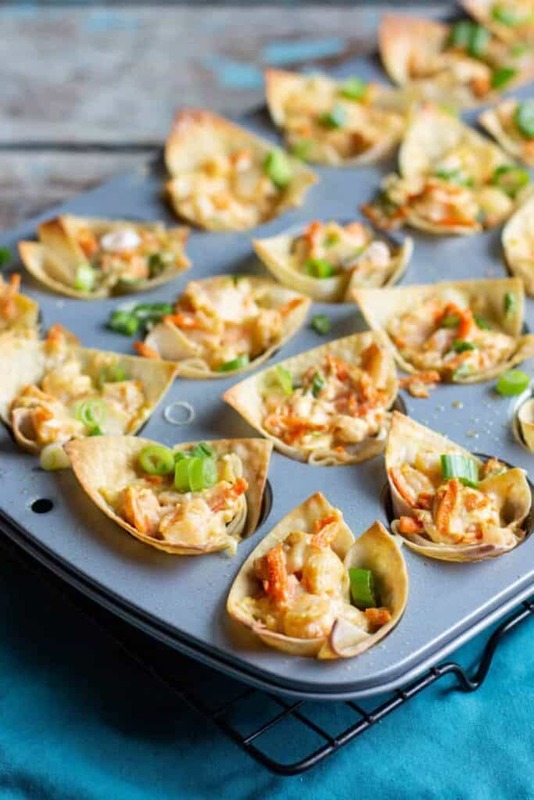 While the taco filling simmers, press the wonton wrappers into a mini muffin tin. Spray them lightly with cooking spray. Bake for 8 minutes. Remove from the oven. 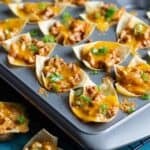 Spoon a bit of the taco mixture into each of the cups and top with a bit more cheese. Bake for 7 minutes, or until the cheese melts. Top with a dollop of sour cream and some green onions. 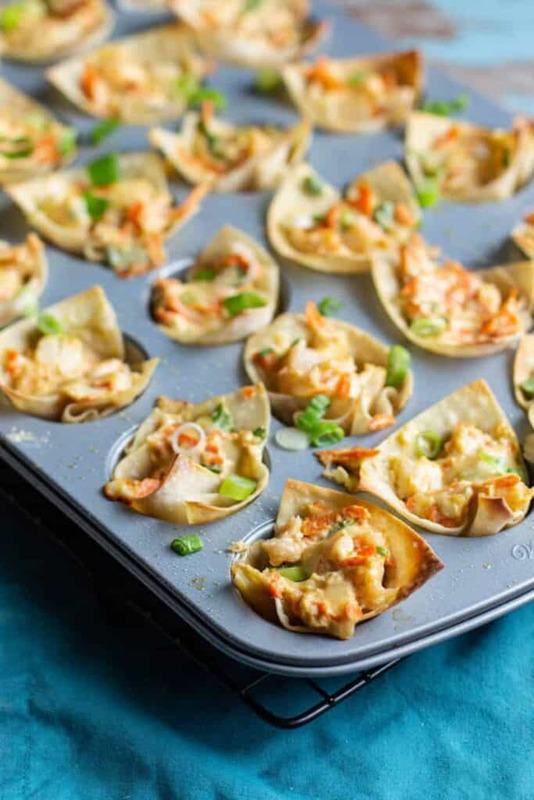 Don’t forget about these Shrimp Wonton Cups! They’re pretty great, too. 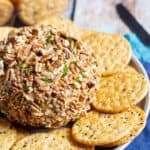 This Buffalo Ranch Cheese Ball is a tasty, easy, make-ahead appetizer. Add more or less hot sauce to make it as spicy as you’d like. 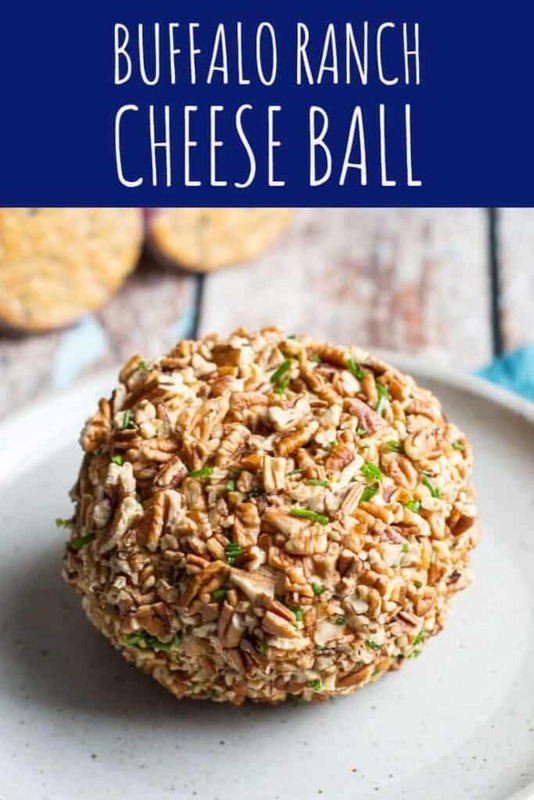 I recently read a Food & Wine article called “Give Cheese Balls a Chance.” In it, the author talks about how cheese balls are viewed as being dated and pretty much straight out of the 1970s. To be honest, I didn’t realize that they had garnered this reputation. 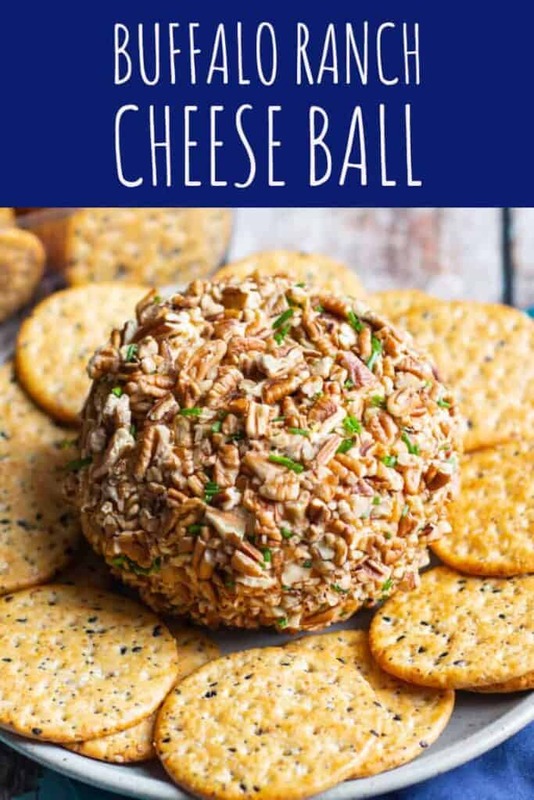 My lack of awareness of the kitschy nature of cheese balls (coupled with my unabashed love of making and eating them) probably speaks to how uncool I am. In spite of all this, she also talks about the various positive qualities of the cheese ball. For starters, they’re delicious! They’re also endlessly versatile. You can use whatever mixture of cheeses you’re into, plus whatever mix-ins you’d like. And then there’s the coating. 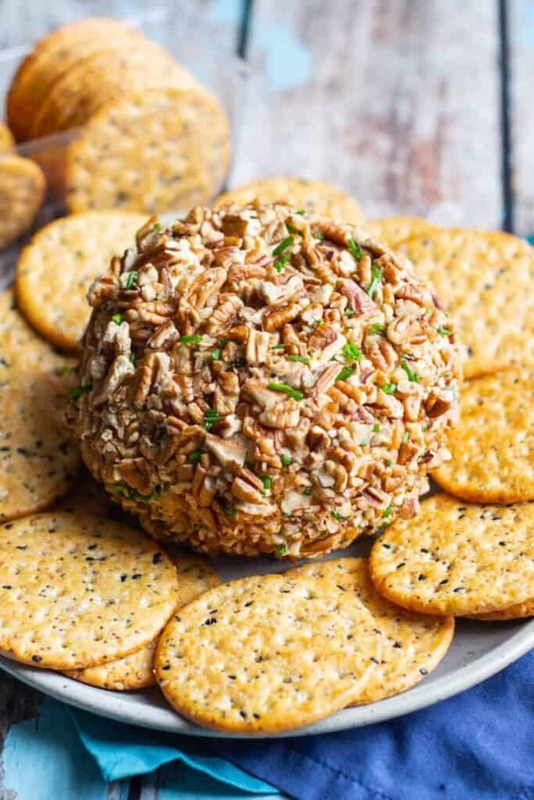 For this buffalo ranch cheese ball, I used nuts and chives, but don’t forget about bacon or even something like everything bagel seasoning. 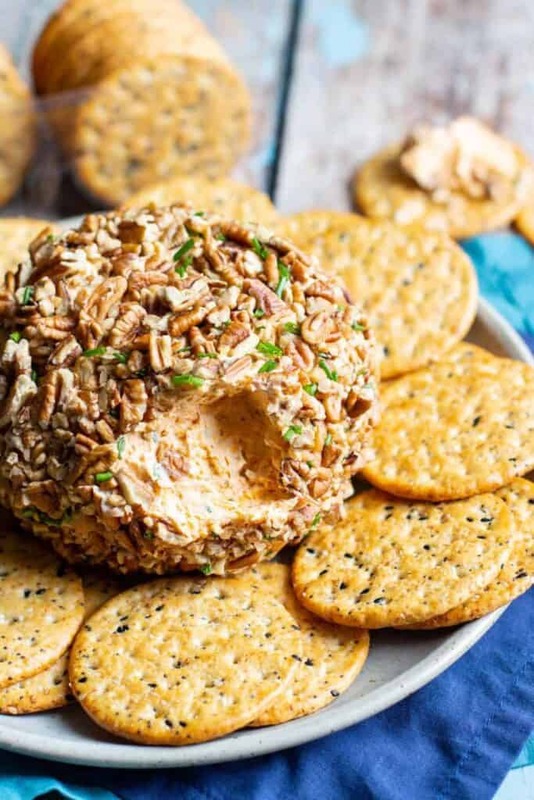 You can also spread a cheese ball on crackers, vegetables, you name it. 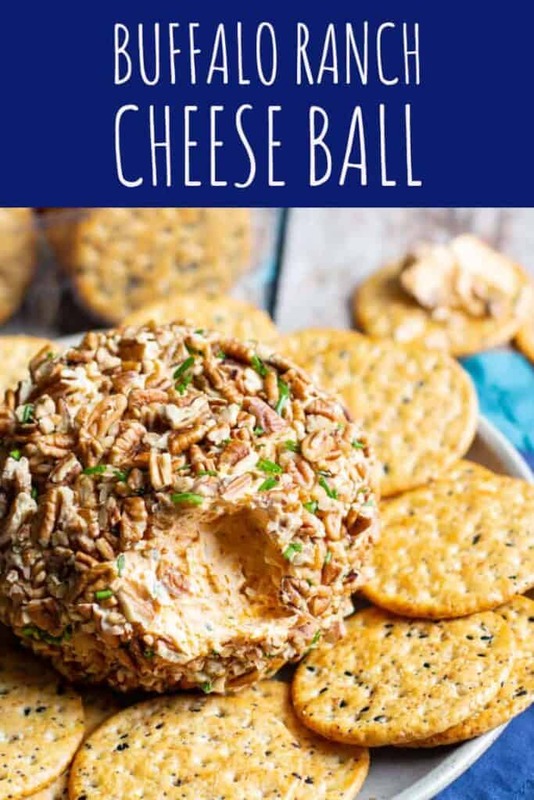 What I’m saying is, in light of all of its merits, let’s bring the cheese ball back. Let’s make it cool again. If you liked this recipe, you’ll probably be into Slow Cooker Buffalo Chicken and Buffalo Chicken Dip, too! In a medium bowl, using a hand mixer, beat the cream cheese until light and fluffy. Add the ranch seasoning, shredded cheddar, 1 tbs of fresh chives, and 2 tbs of hot sauce. Mix until well combined. Taste and add additional hot sauce if desired. Dollop the cheese mixture onto a length of plastic wrap. Shape it into a ball, wrap it in the plastic wrap, and refrigerate for at least 1 hour. Spread the chopped pecans and remaining 1 tbs chives onto a plate. 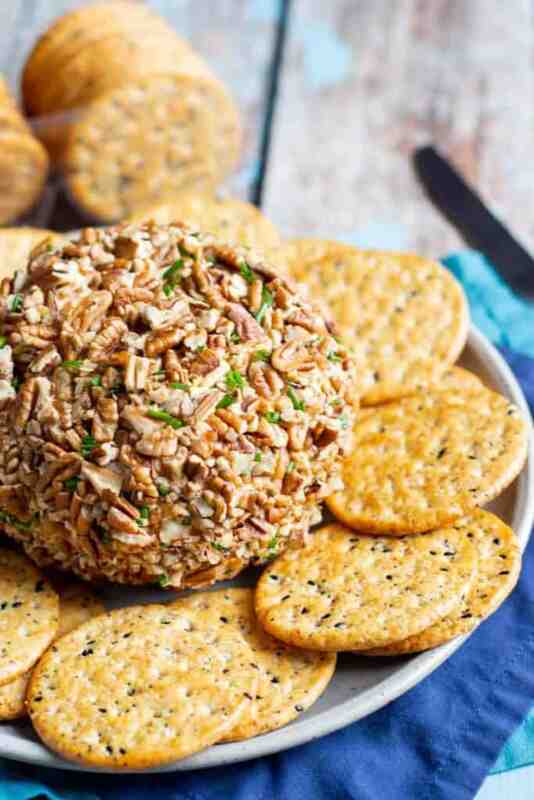 Roll the cheese ball it around on the chopped pecans and chives until the entire ball is covered. 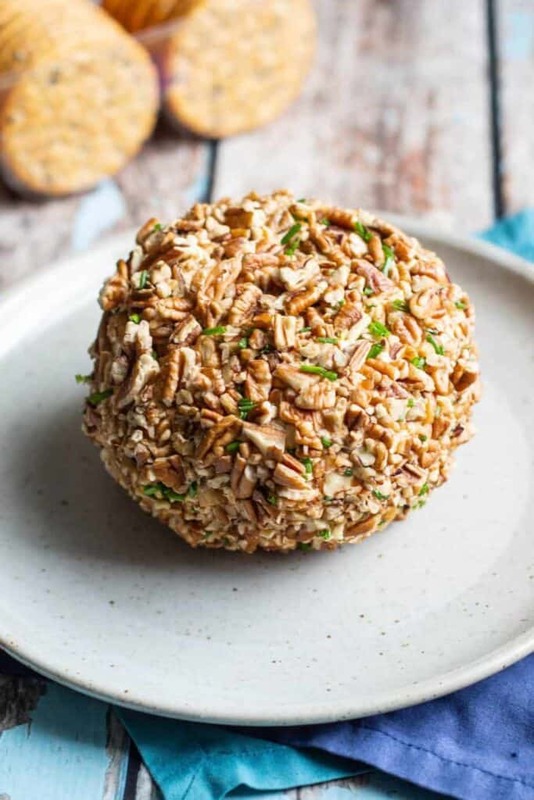 Wrap the cheese ball in the plastic wrap and refrigerate again for at least an hour before eating. Serve with crackers and or vegetables. 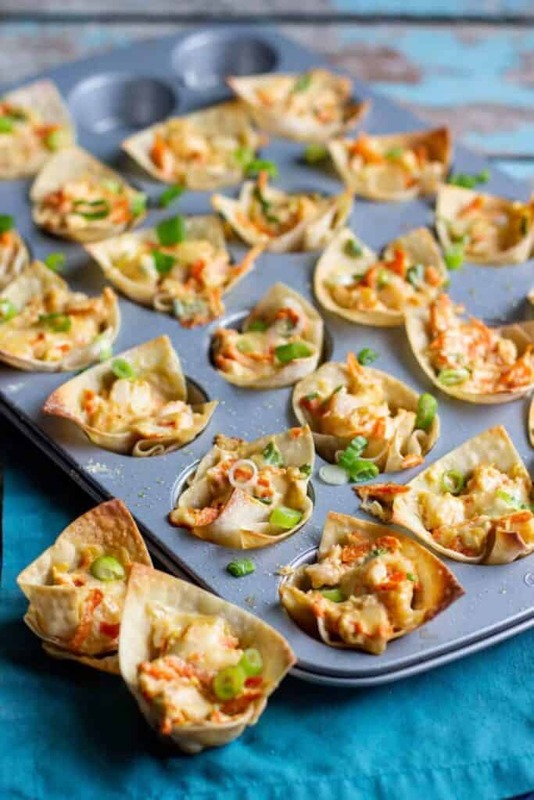 These Shrimp Wonton Cups are perfect party food. First of all, they taste great! They are also individually portioned, making them easily sharable with a crowd. 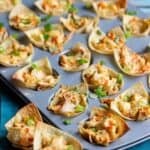 I’ve made these shrimp wonton cups for holiday celebrations (think: New Year’s Eve parties) and sporting events (Super Bowl, anyone?). People have really enjoyed them each and every time. There’s just something about small food that makes it perfect for parties. It’s easy to pick up with one hand, and it can be eaten in just a couple of bites. The recipe comes from The Pampered Chef. 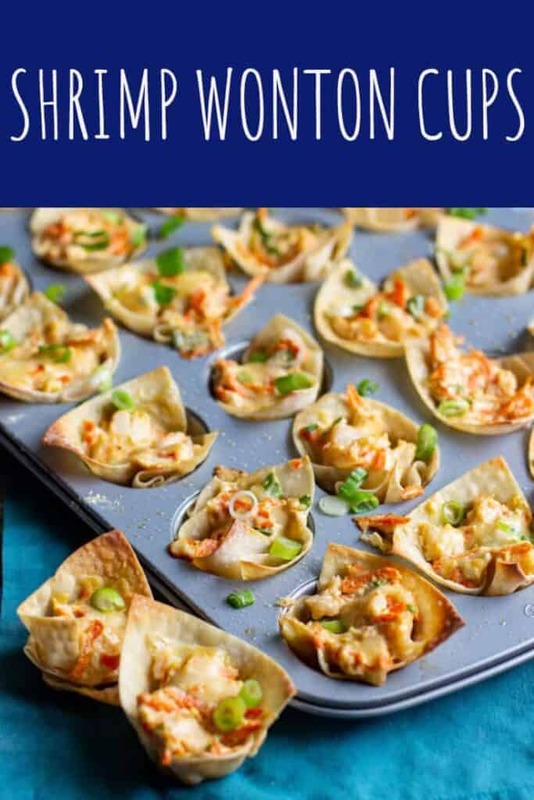 Press the wonton wrappers into a mini muffin/cupcake pan. Lightly spray the wrappers with cooking spray. Bake for 8 minutes. Remove pan from oven. Chop the cooked shrimp. Combine the shrimp, cream cheese, garlic, Worcestershire sauce, green onions, carrot, and mozzarella in a bowl. Mix well. 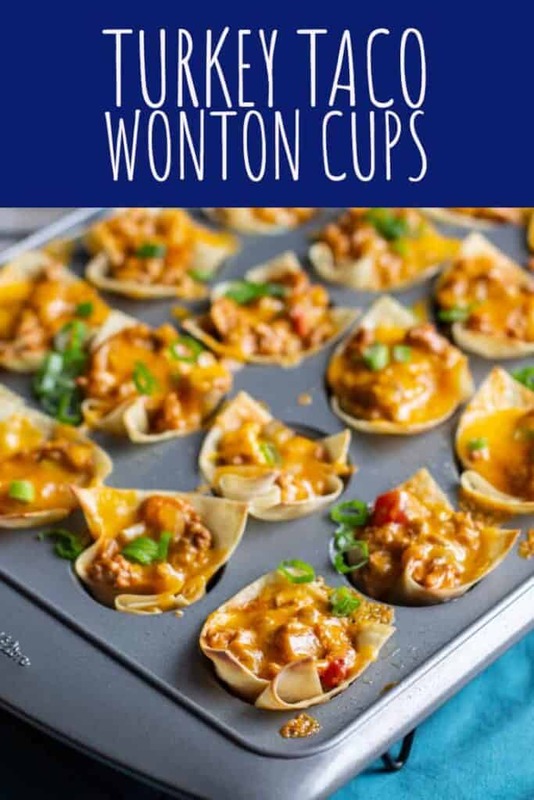 Fill each wonton cup with about 1 tbs of the filling. Return to the oven for 7 minutes, or until the filing is bubbly. 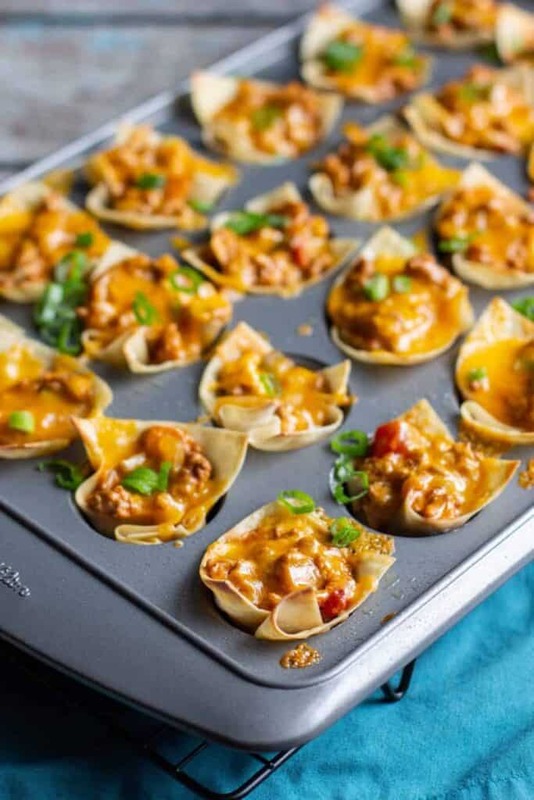 Don’t forget about these Turkey Taco Wonton Cups!